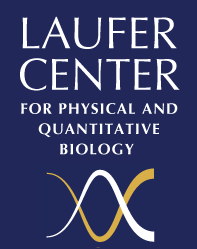 Visit dillgroup.io for a collection of web apps based on research at the Laufer Center. The apps include an ion-ion PMF calculator, a web server based on the SEA solvation model, and tools based on FlexE and NetAvg for analyzing ensembles of protein conformations. HPlattice is a Python library for the HP lattice model of Dill and Chan. It is ideally used as a teaching tool, or as a way to quickly prototype 2D lattice simulation ideas with easy-to-use extensible code. HPlattice can either 1) enumerate conformations, or 2) perform replica exchange monte carlo “dynamics” for 2-dimensional, square-lattice “bead-on-a-string” type chains. Visit the HPlattice documentation site to download the library.